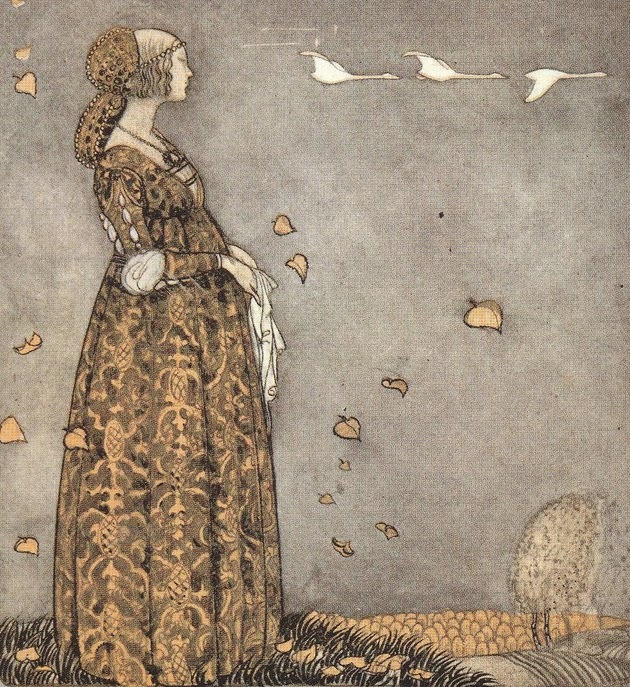 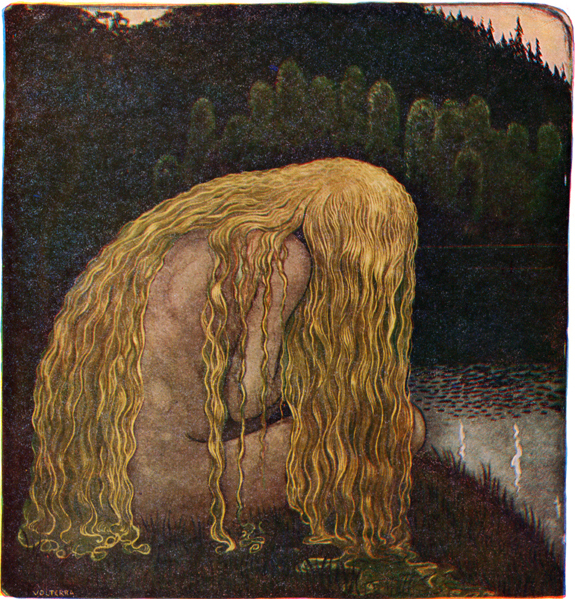 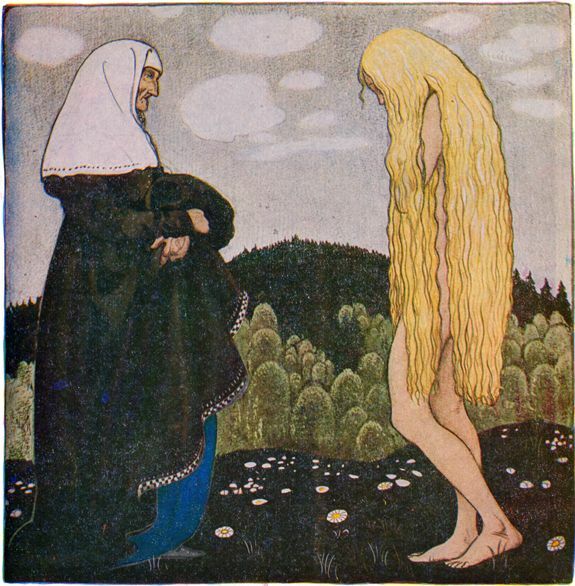 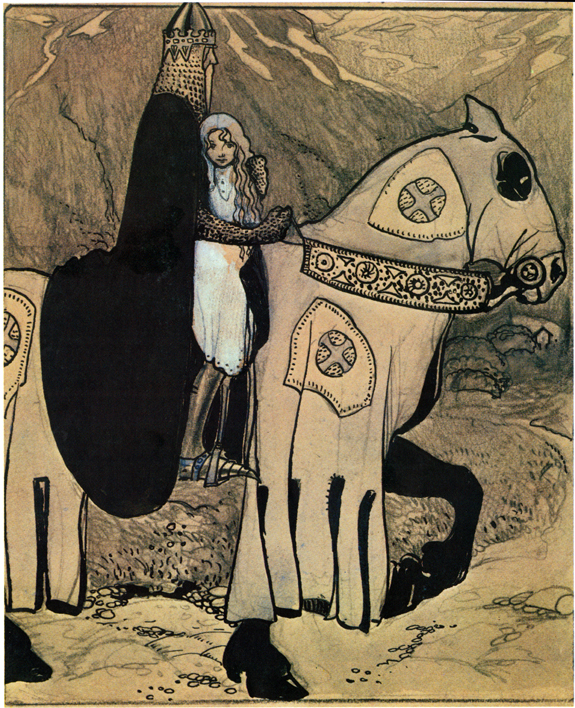 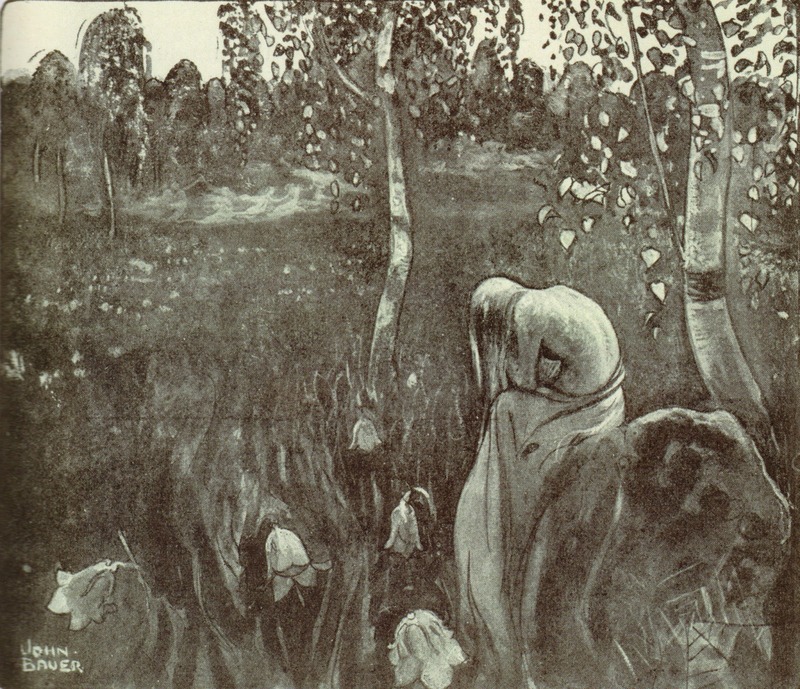 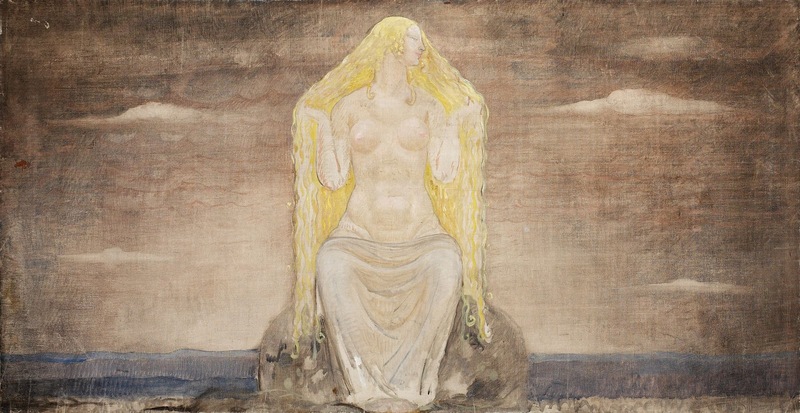 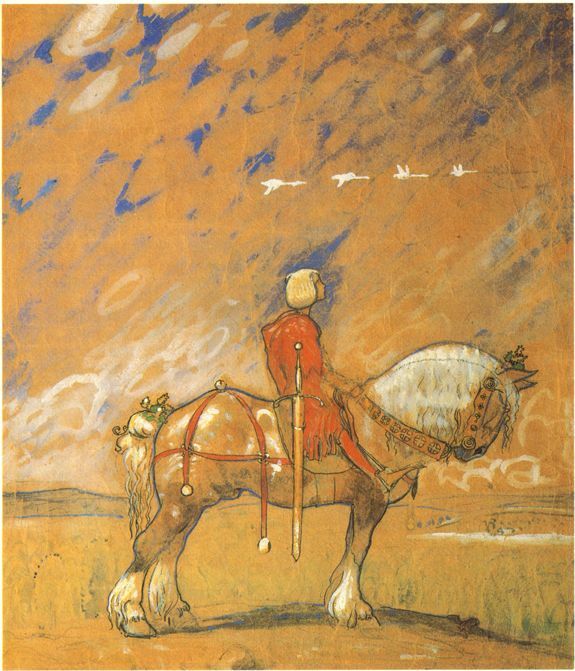 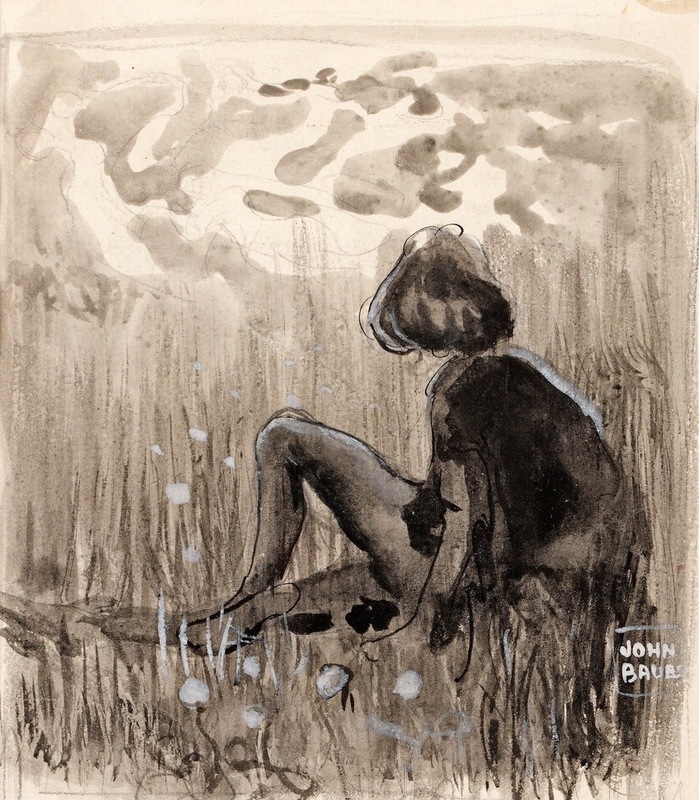 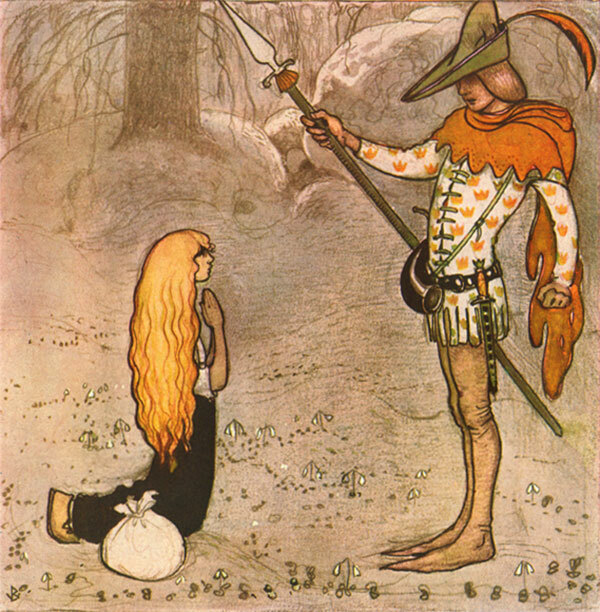 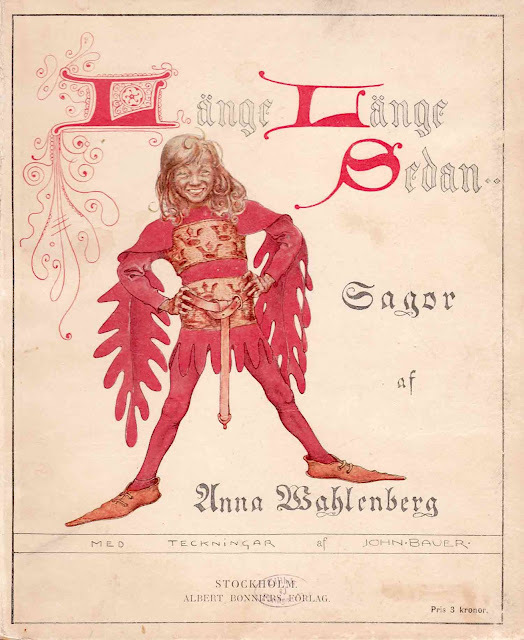 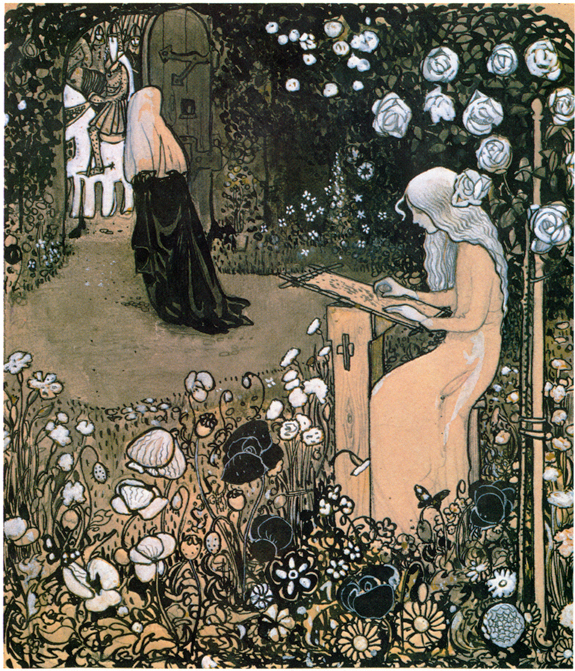 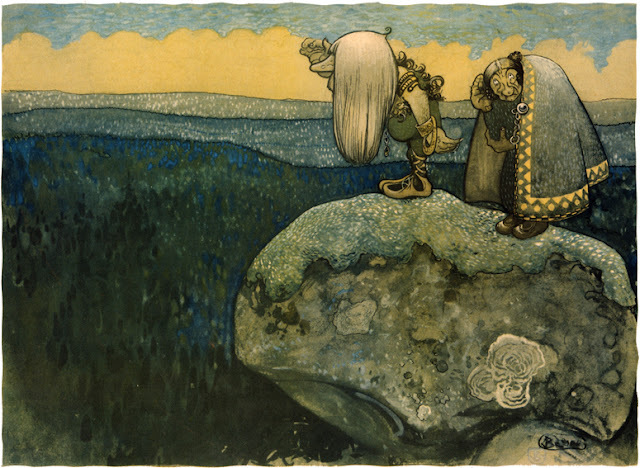 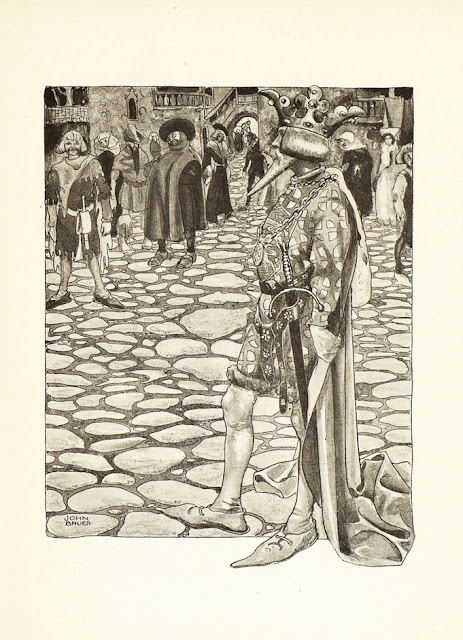 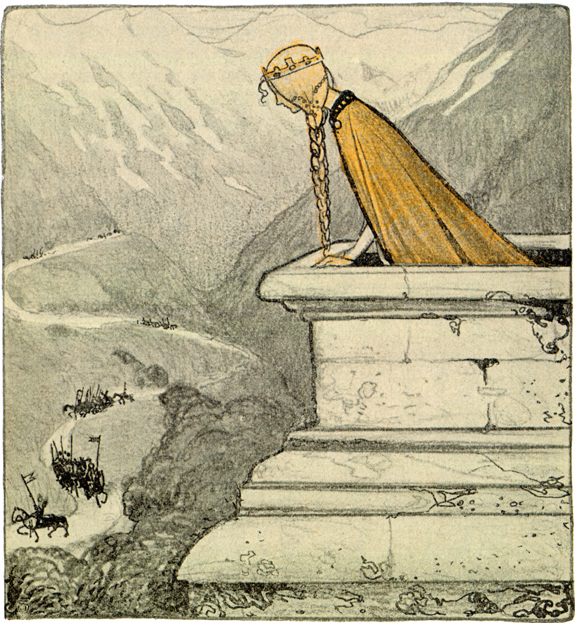 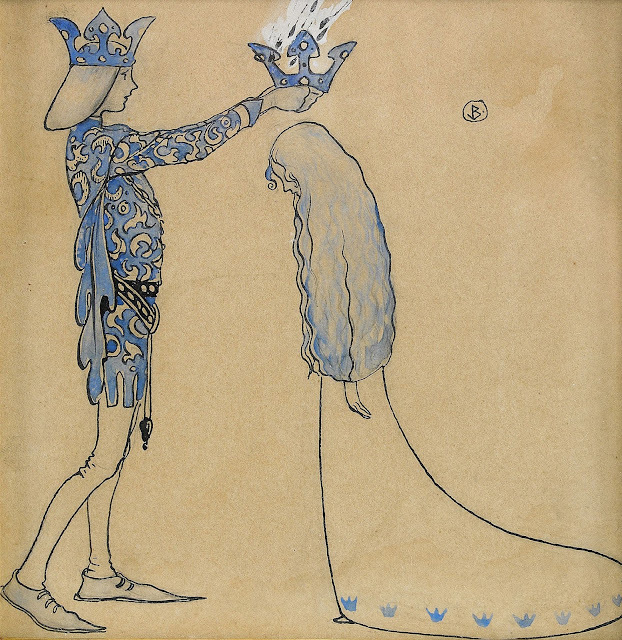 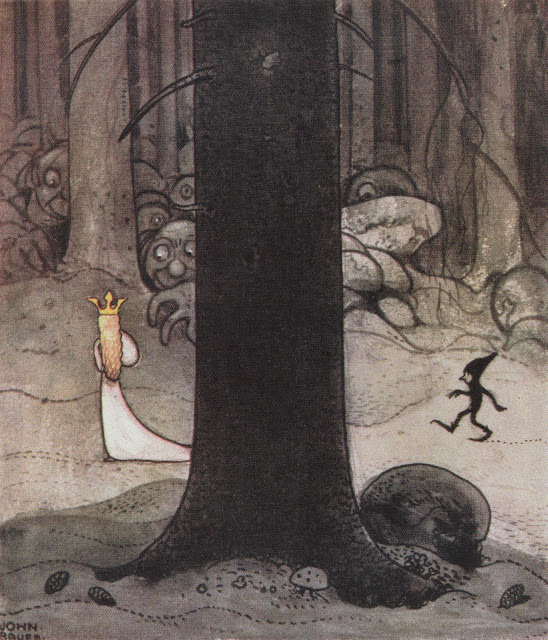 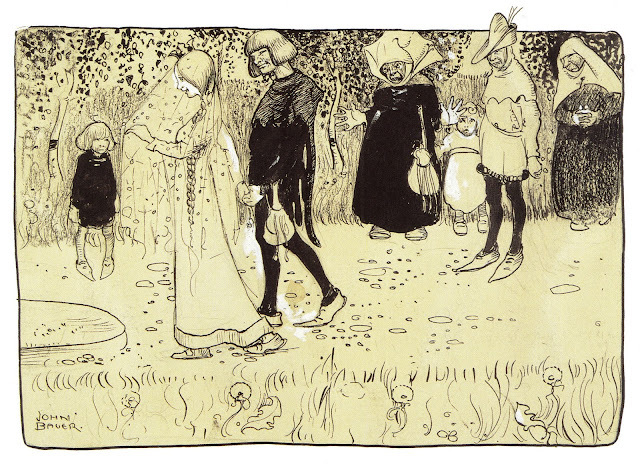 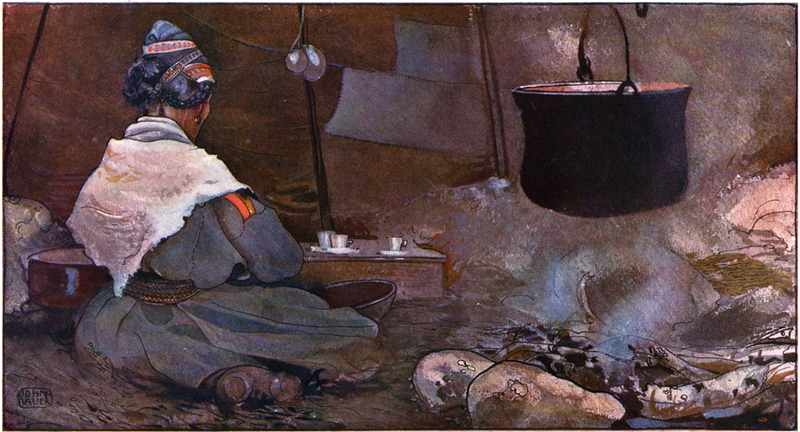 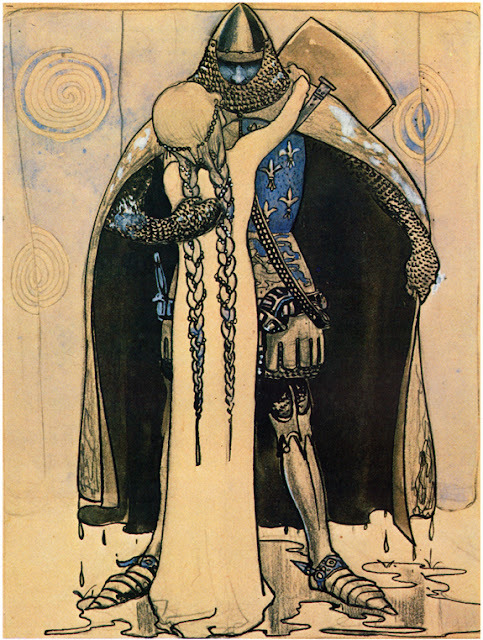 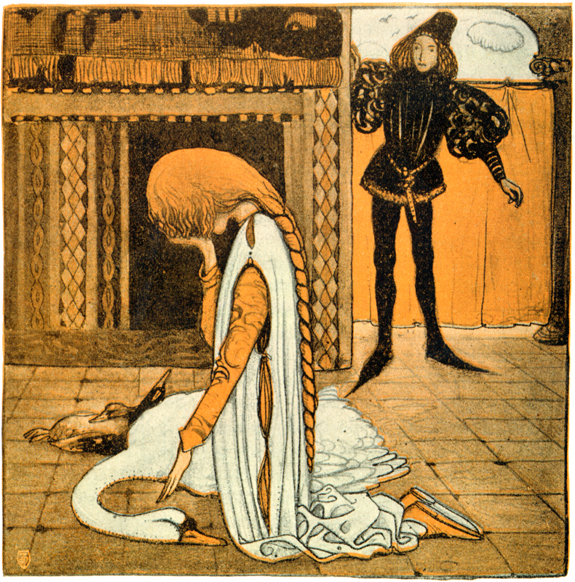 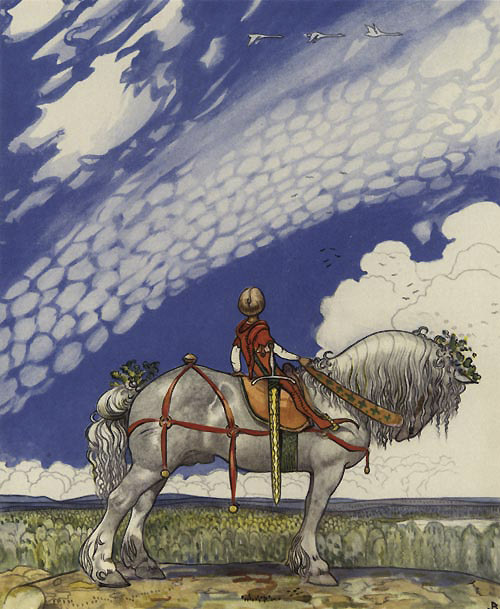 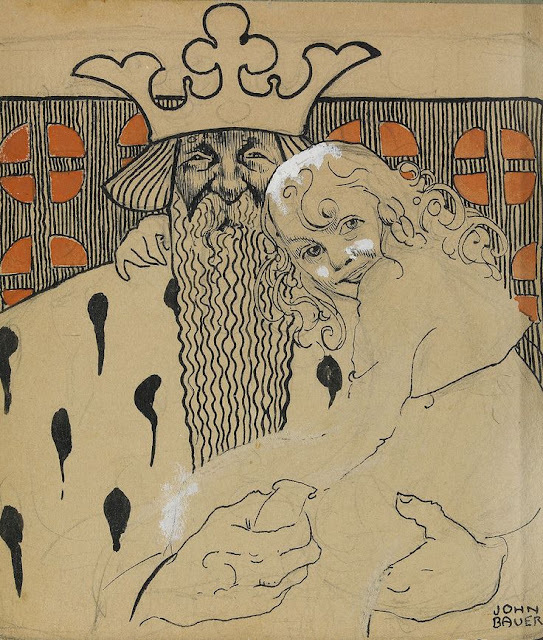 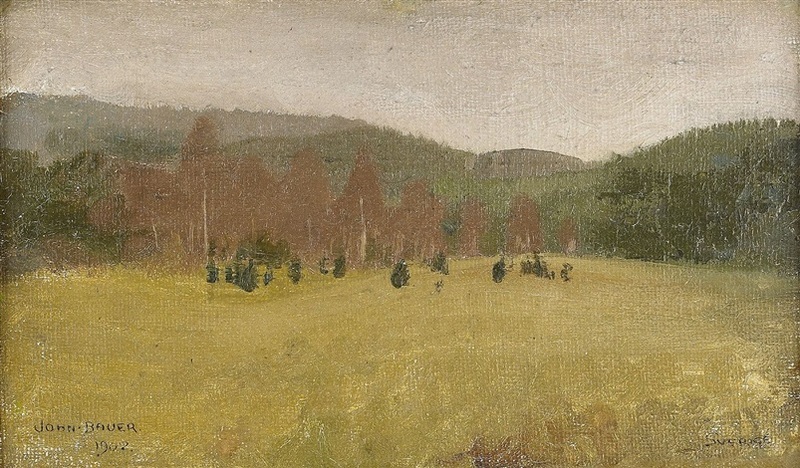 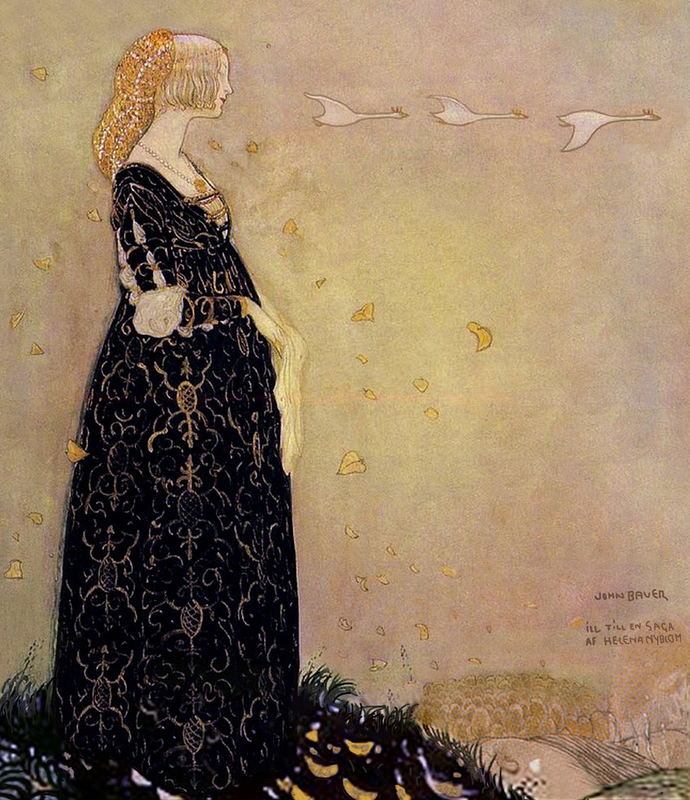 For more information on John Bauer, and for earlier works, see part 1 also. 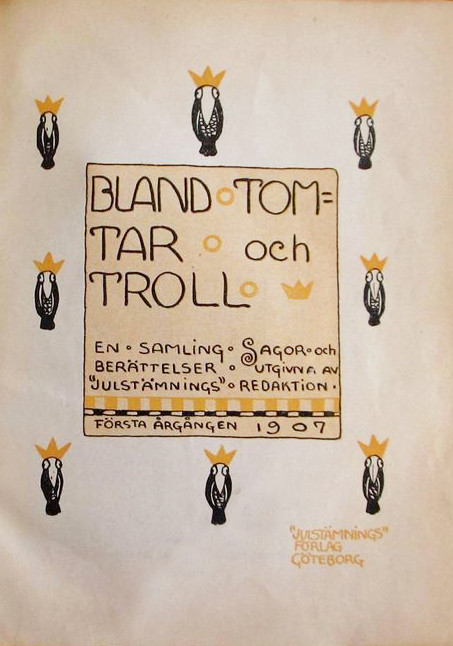 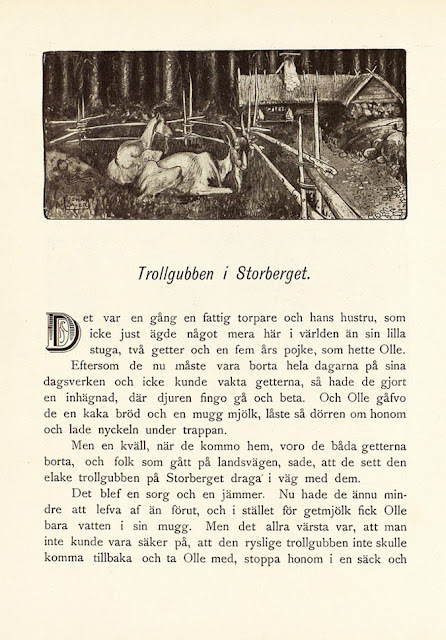 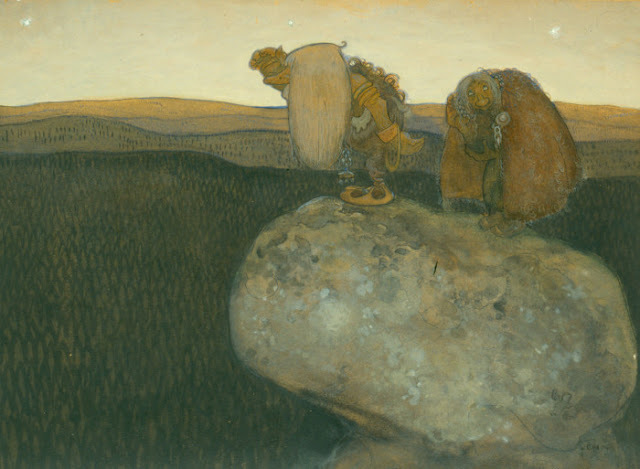 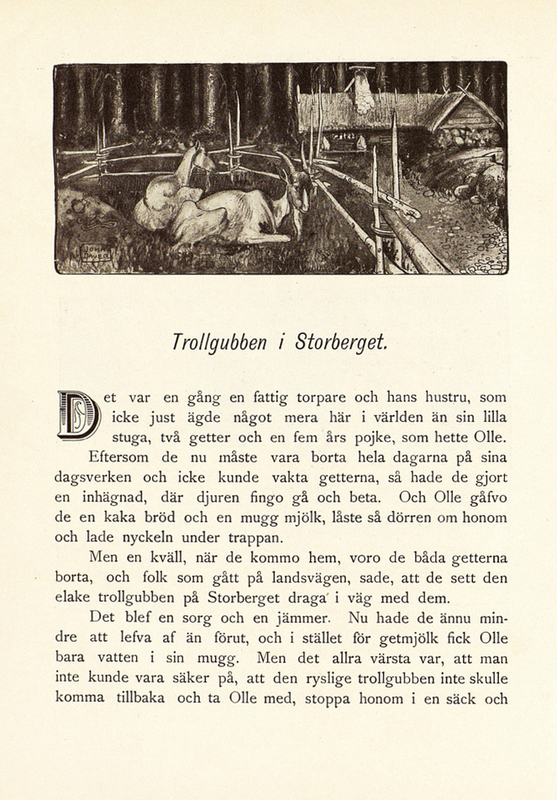 1903 "Sagoprins looking into the setting sun"
1904 "An Old Mountain Troll"
1907 "Ester in the cottage"
1907 "Into the Wide World"
1907 "The Trolls in Toompea await visitors"
1907 '"The Trolls in Domberget expected visiting Strangers"
"Dag and Daga, and the Flying Troll of Sky Mountain"
1907 "He could ride in any weather"
1907 " The boy who grasped the troll for the toboggan"
"Princess Daga was followed in the forest"
1907 "Dag and Daga, and the Flying Troll of Sky Mountain"
"The story of the fisherman Sikur and the troll network"
Bauer was born and raised in Jönköping. 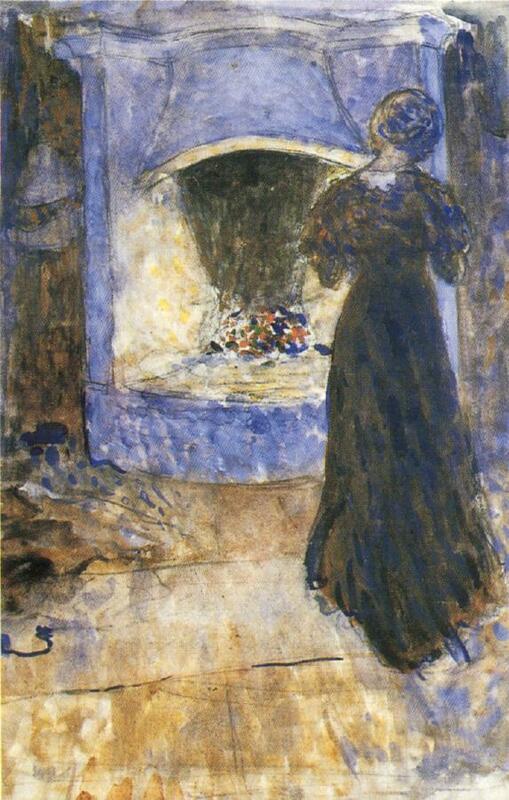 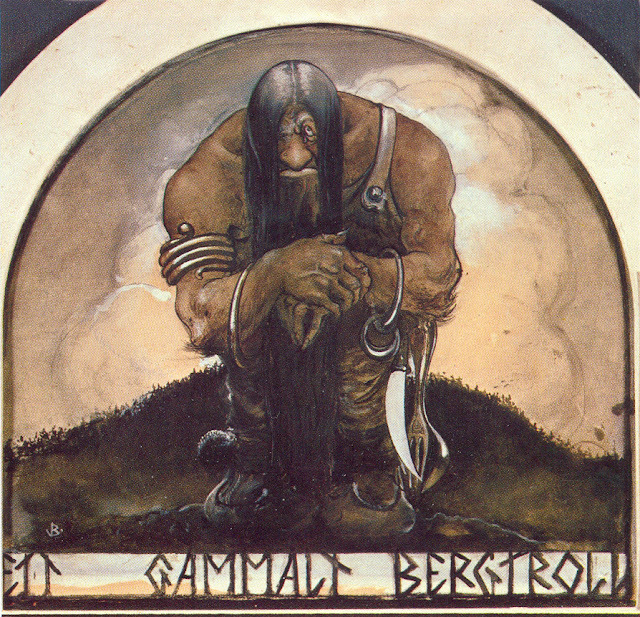 At age sixteen he moved to Stockholm to study at the Royal Swedish Academy of Arts. 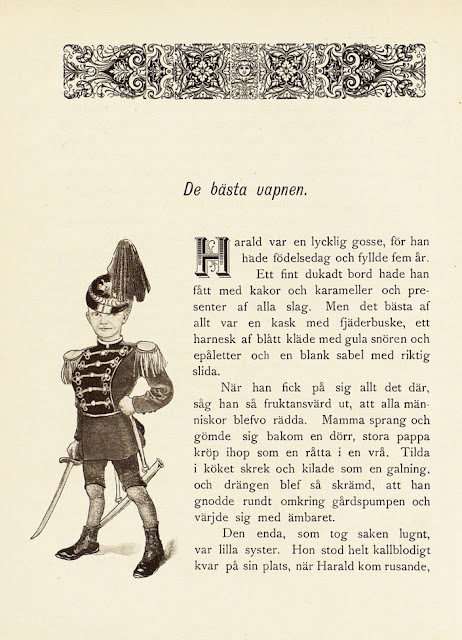 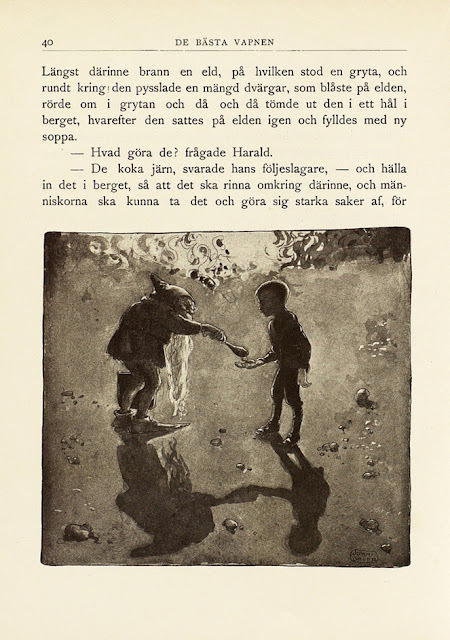 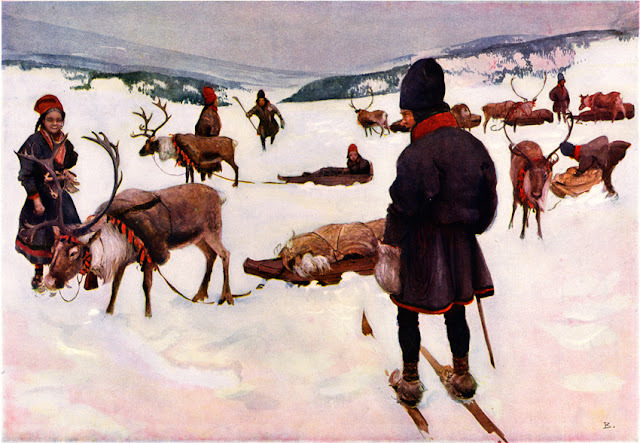 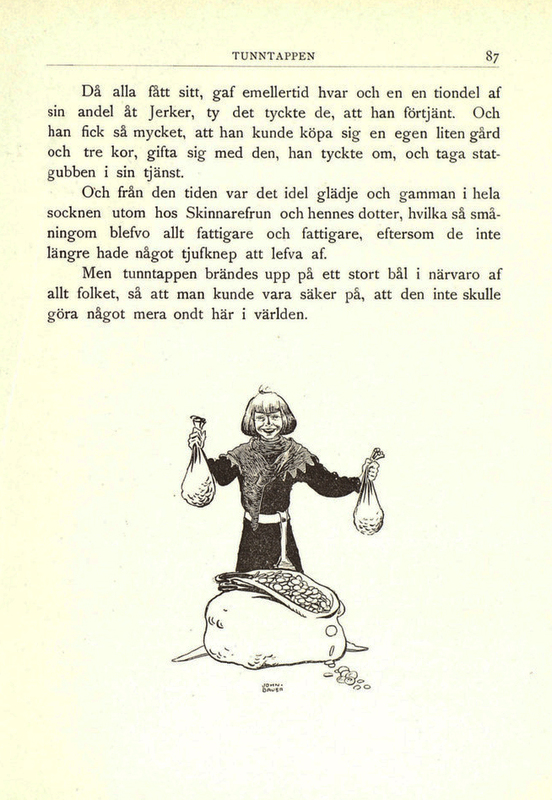 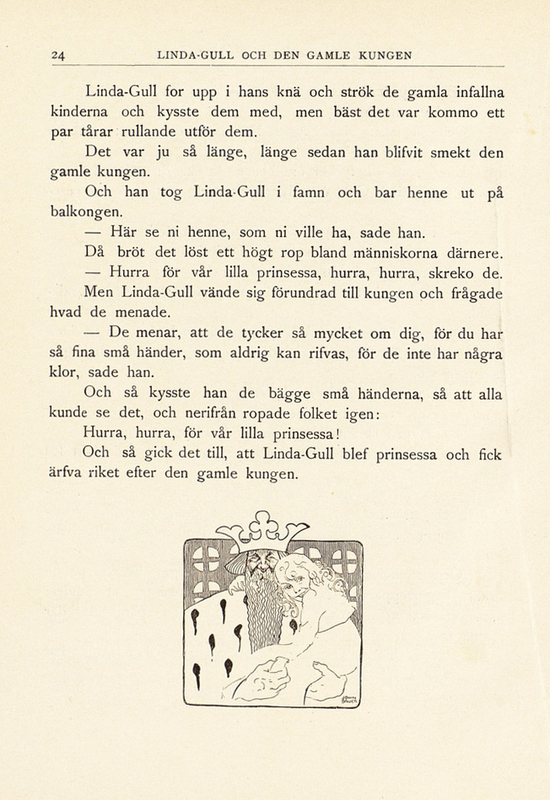 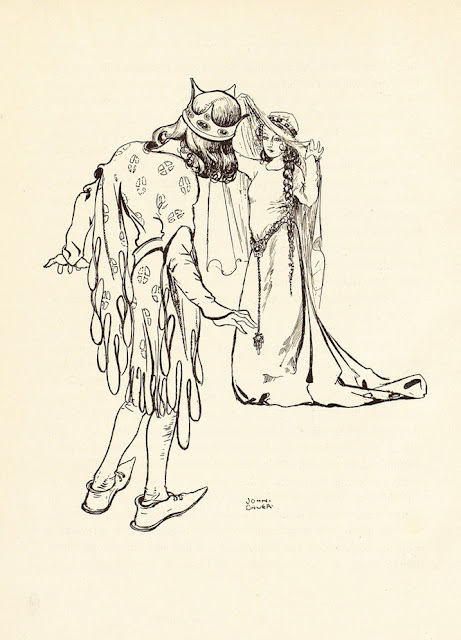 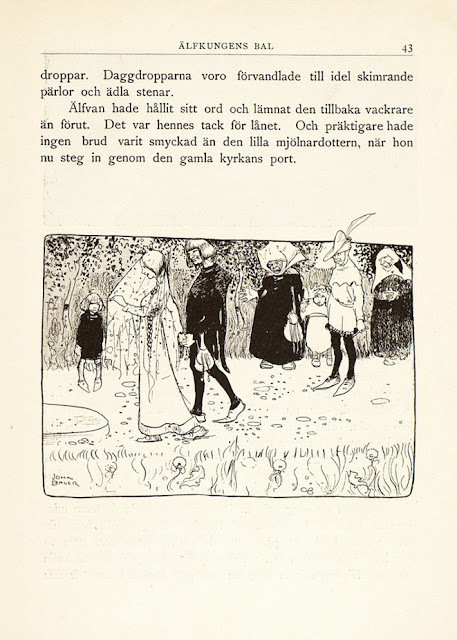 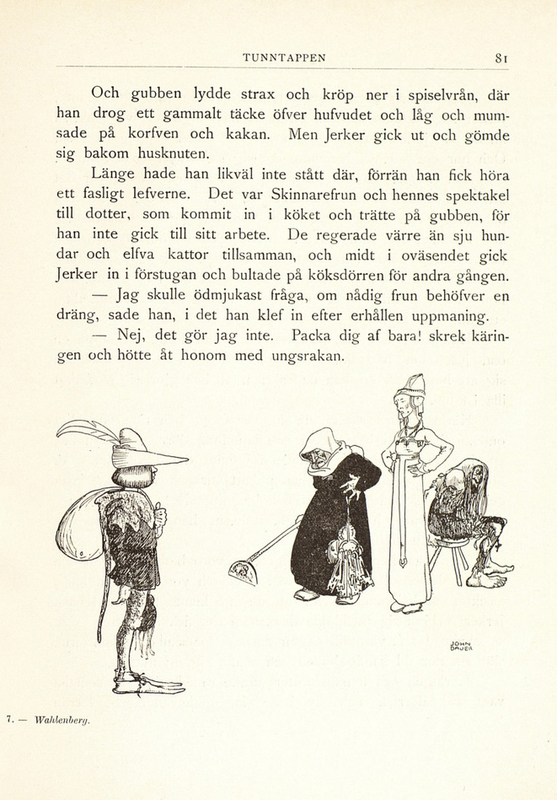 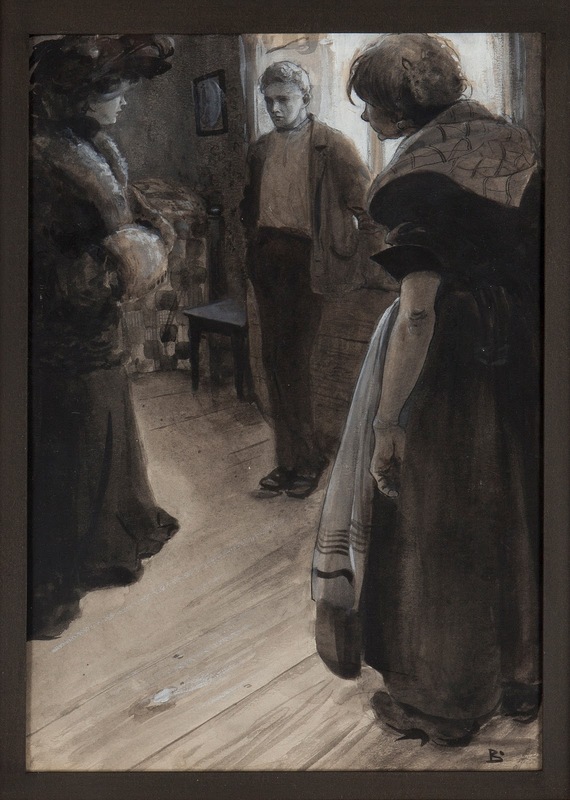 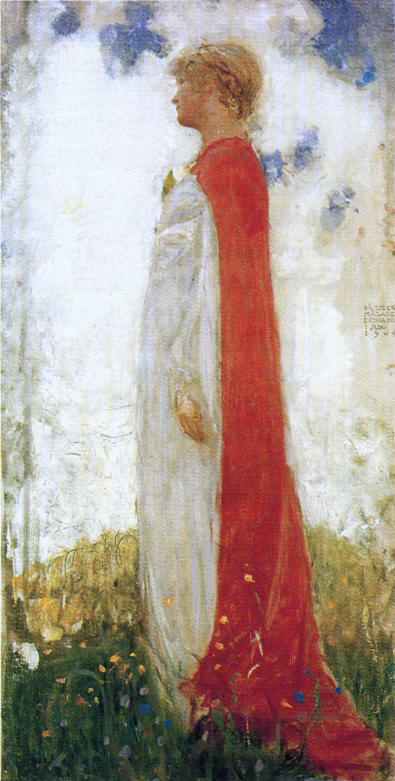 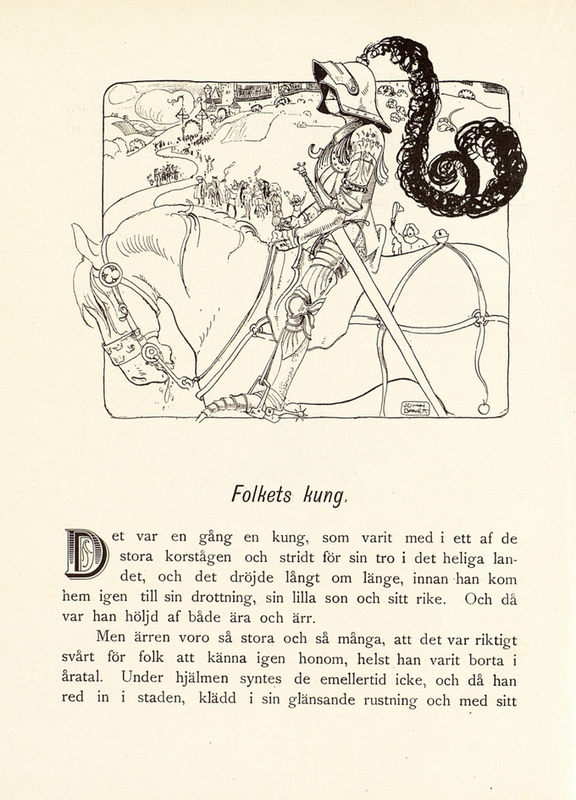 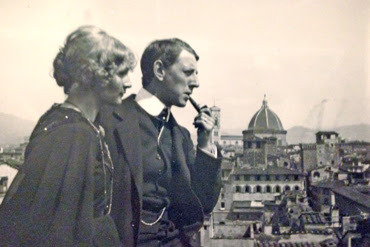 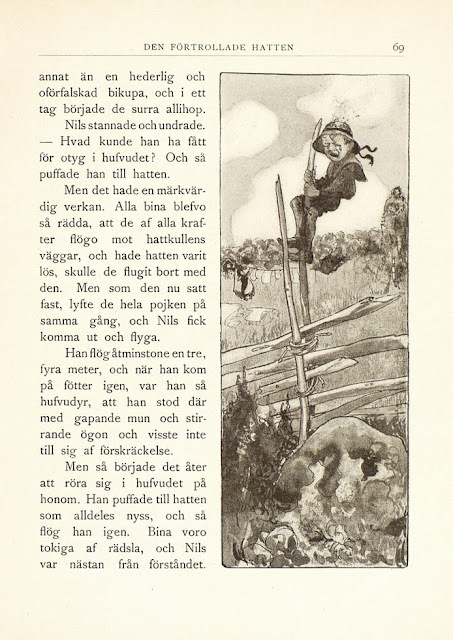 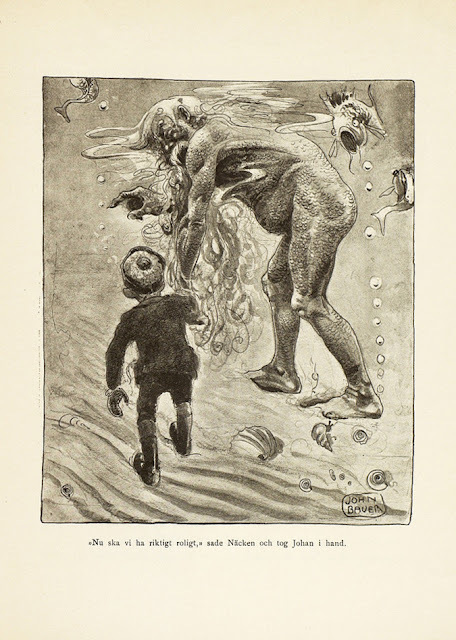 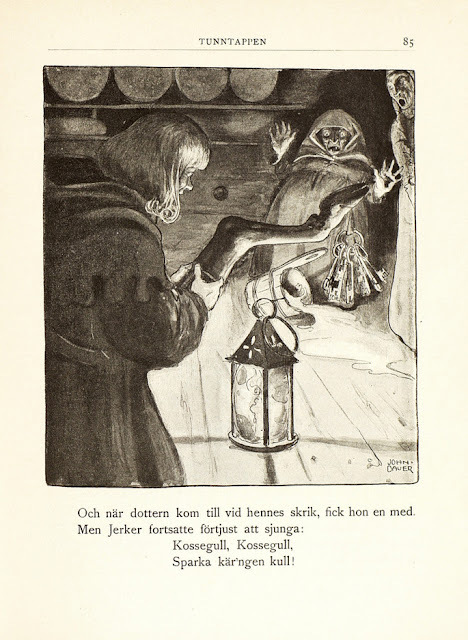 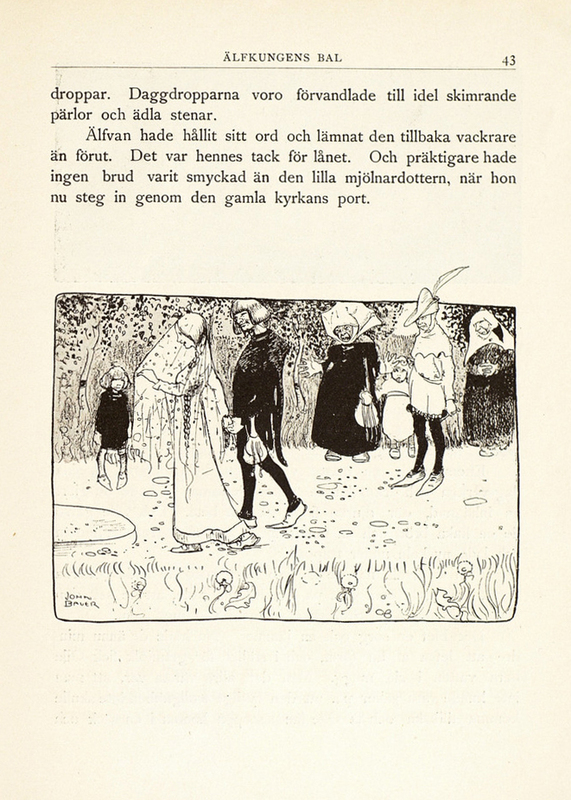 While there he received his first commissions to illustrate stories in books and magazines, and met the artist Ester Ellqvist, whom he married in 1906. 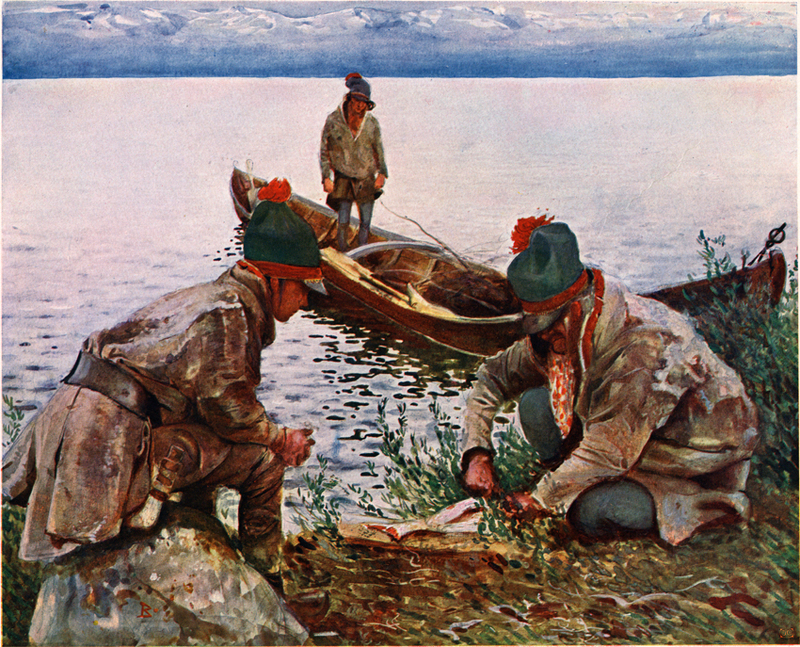 He travelled throughout Lappland, Germany and Italy early in his career, and these cultures deeply informed his work. 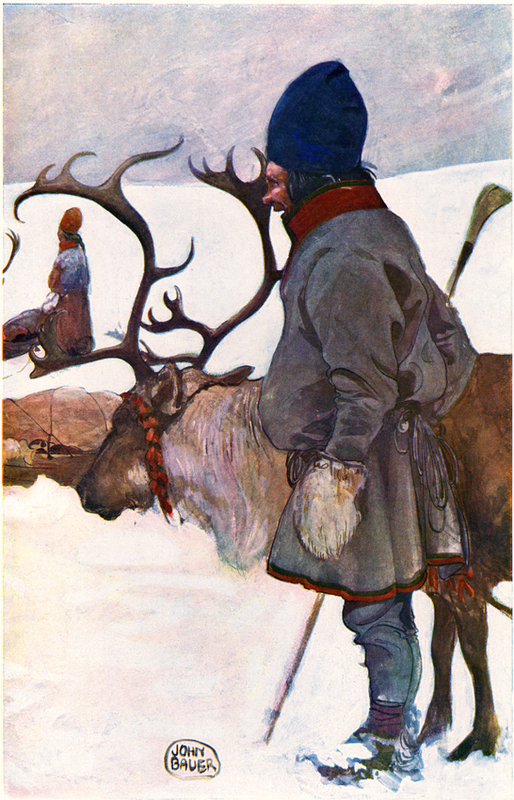 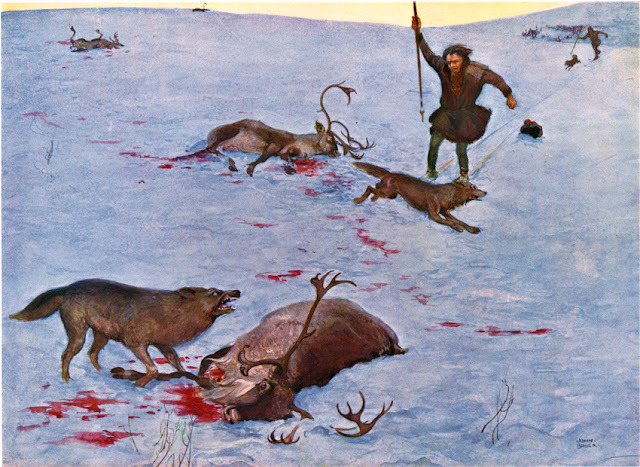 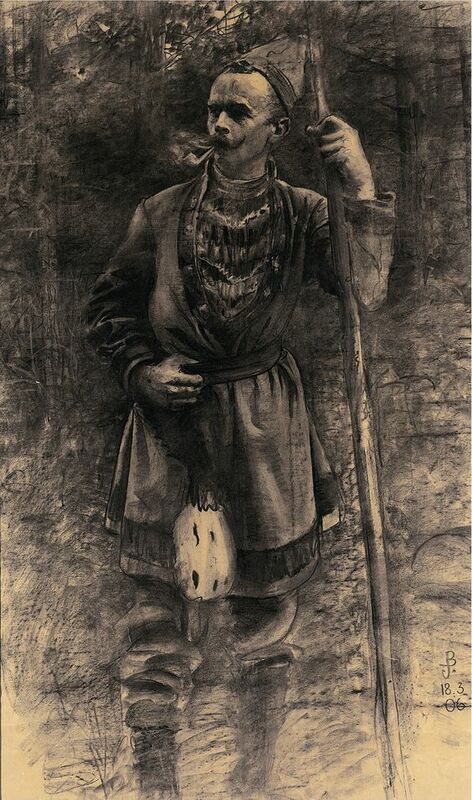 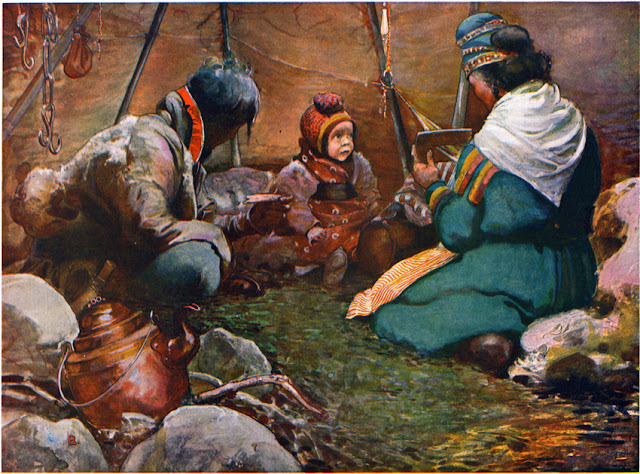 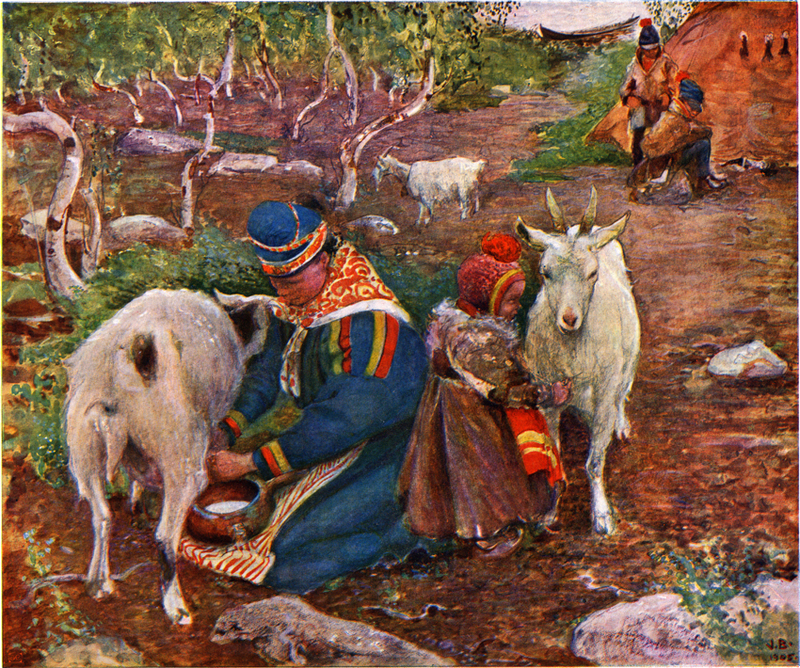 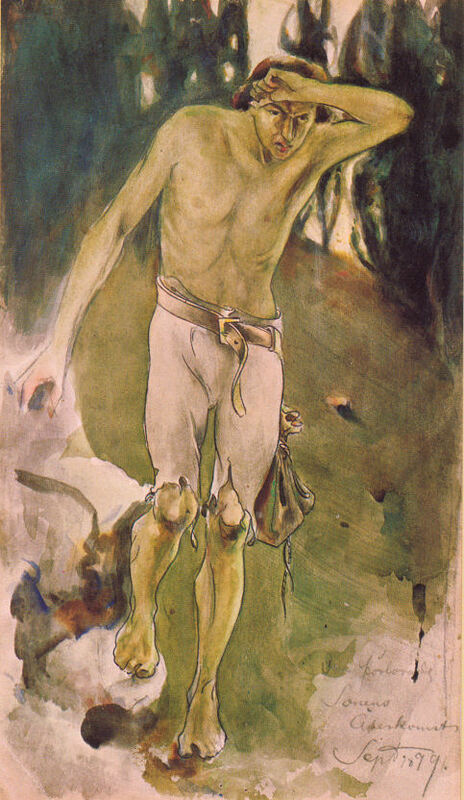 He painted and illustrated in a romantic nationalistic style, in part influenced by the Italian Renaissance and Sami cultures. 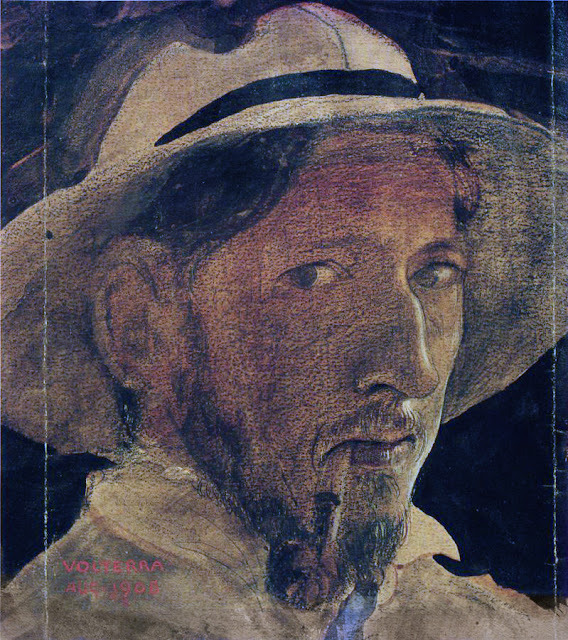 Most of his works are watercolours or prints in monochrome or muted colours; he also produced oil paintings and frescos. 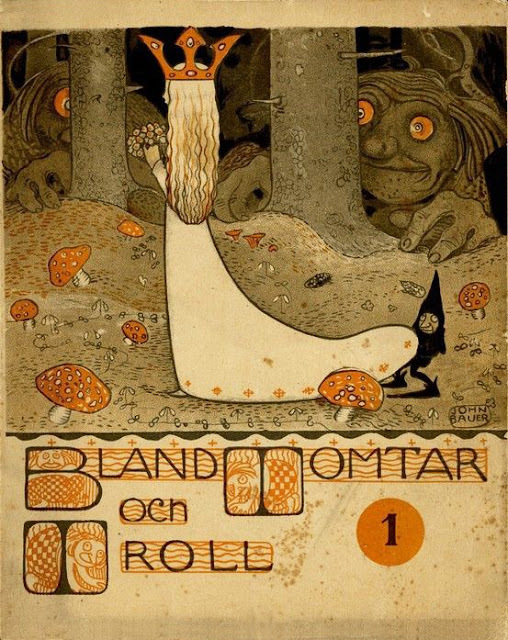 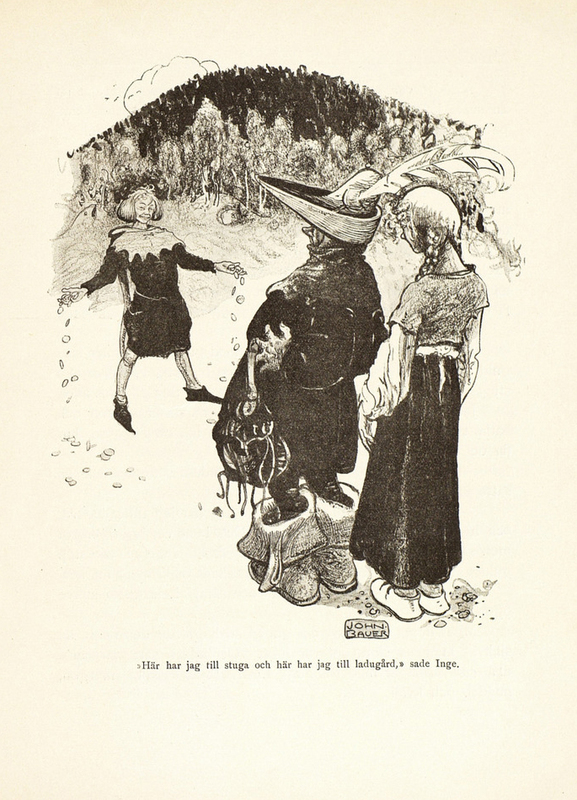 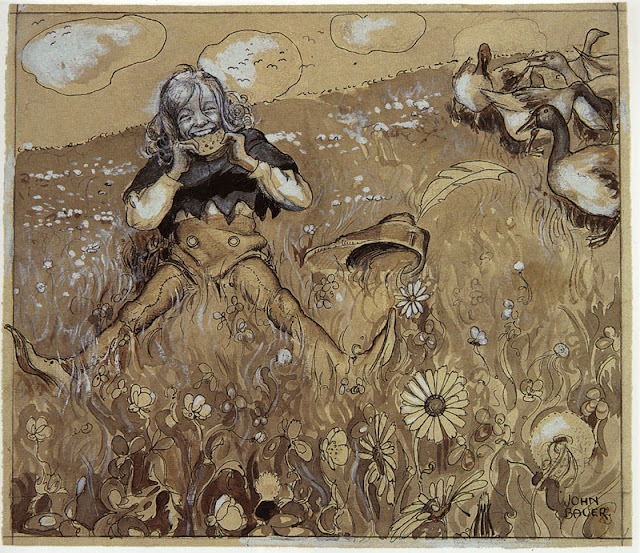 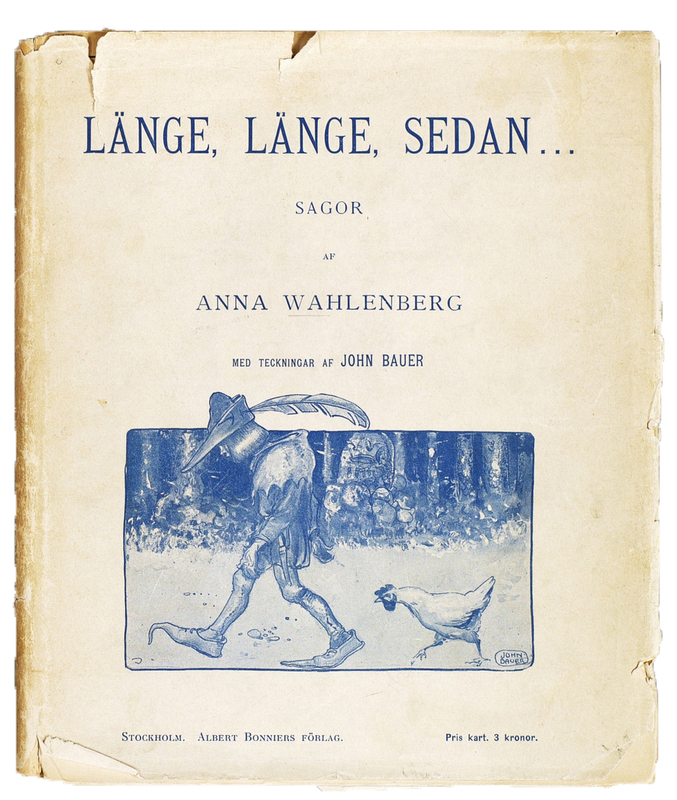 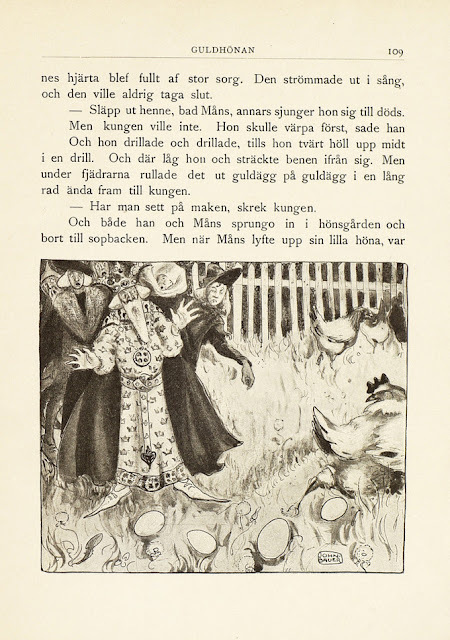 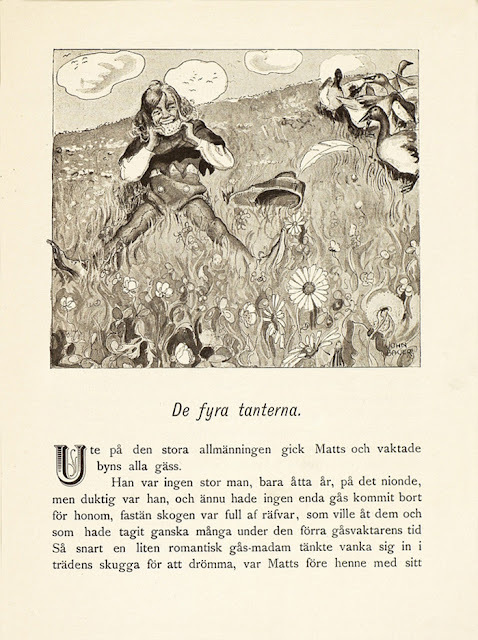 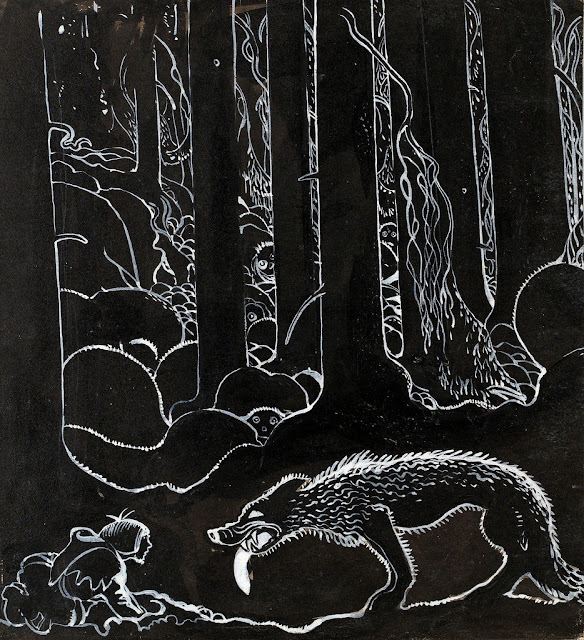 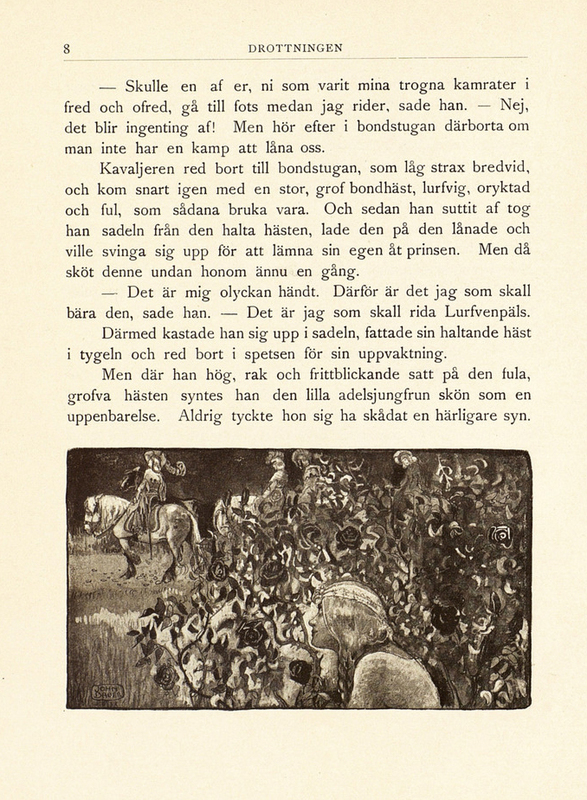 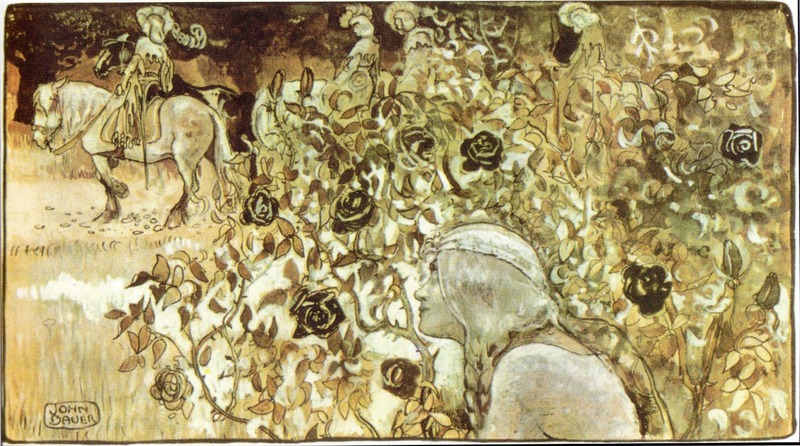 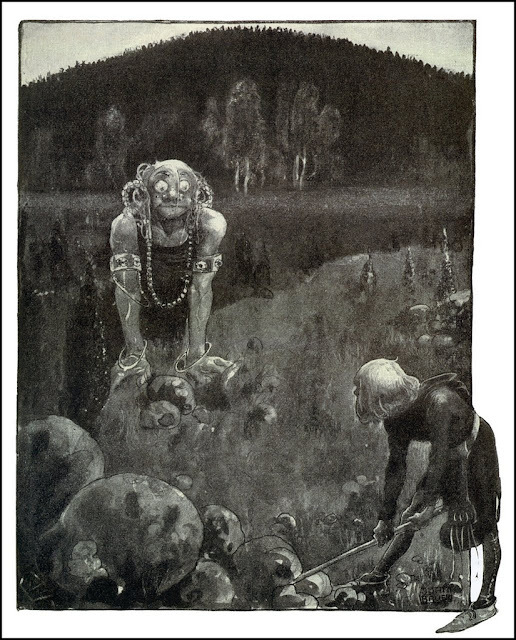 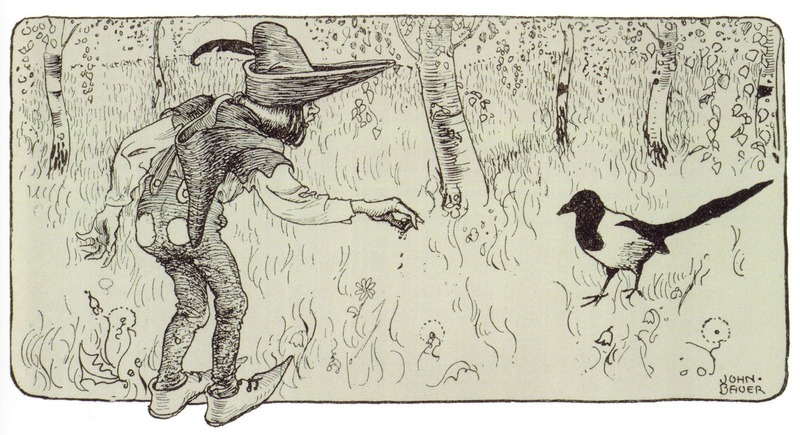 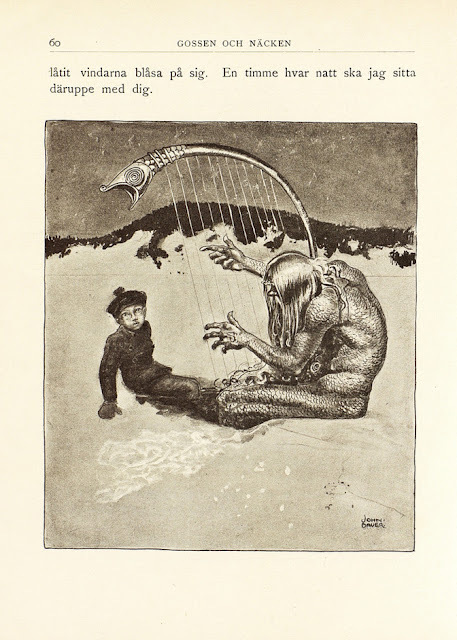 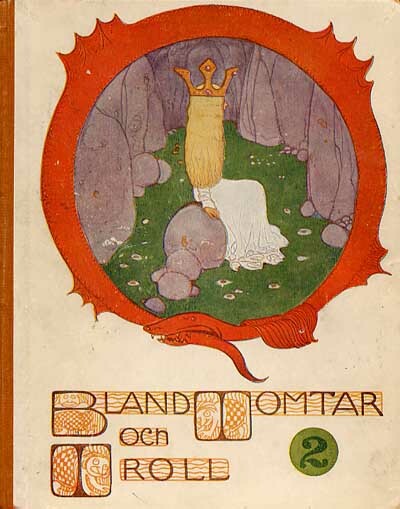 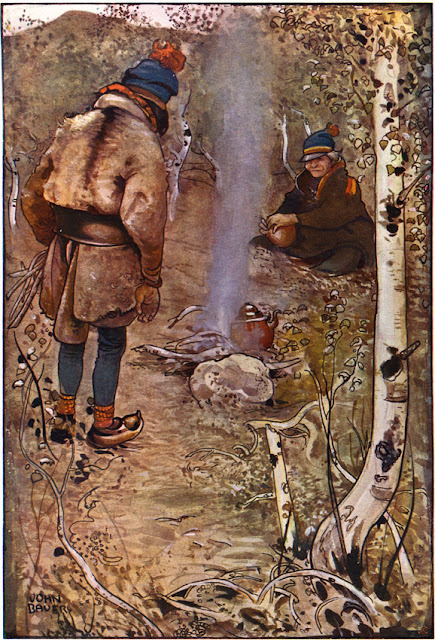 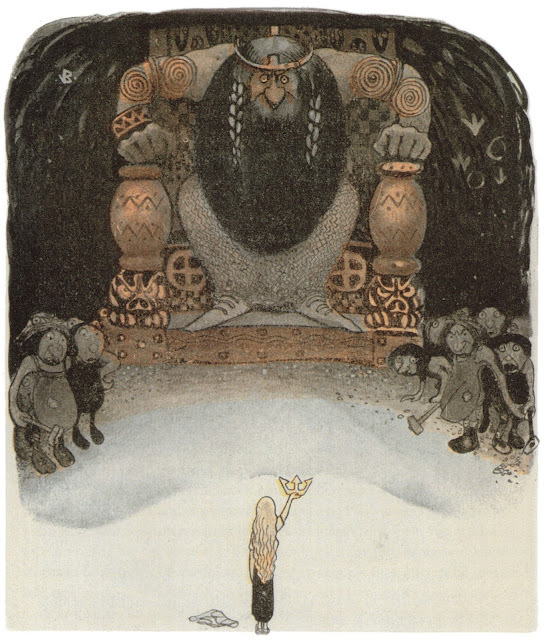 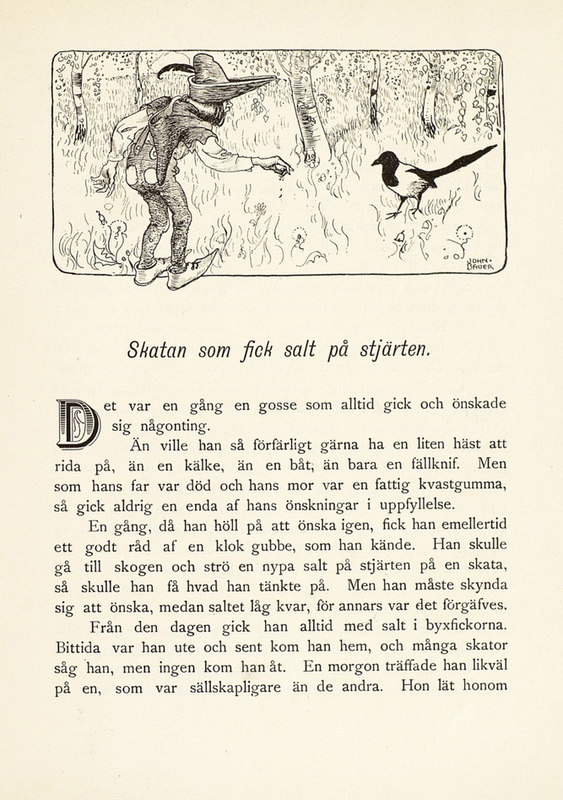 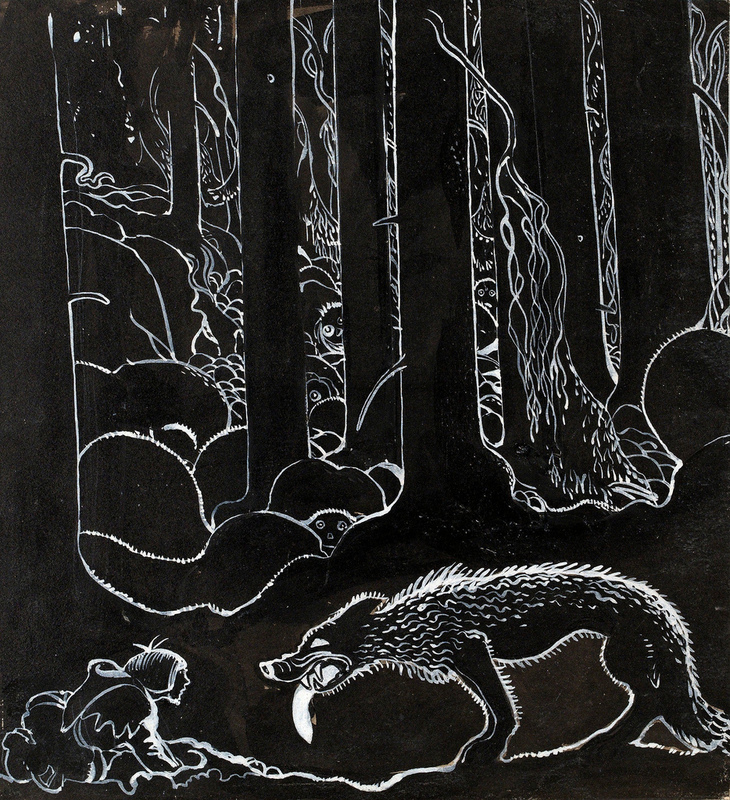 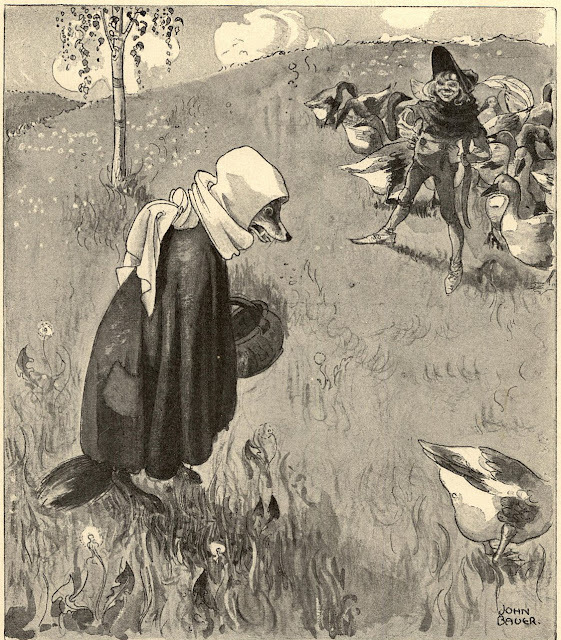 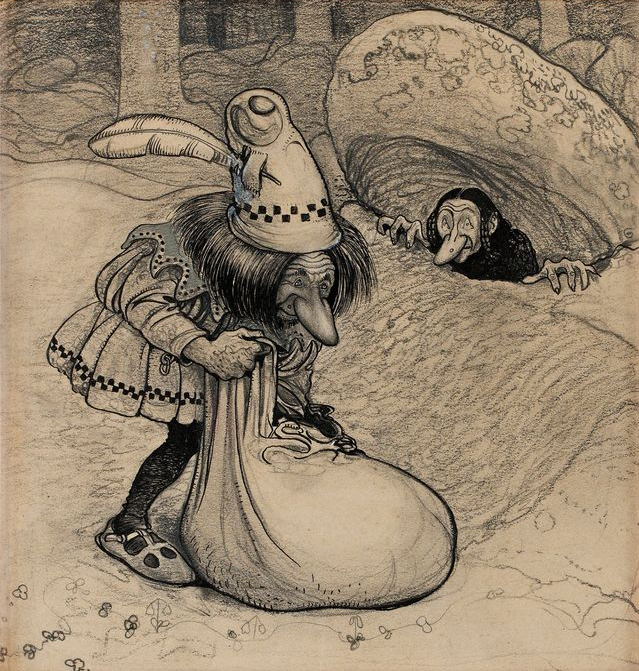 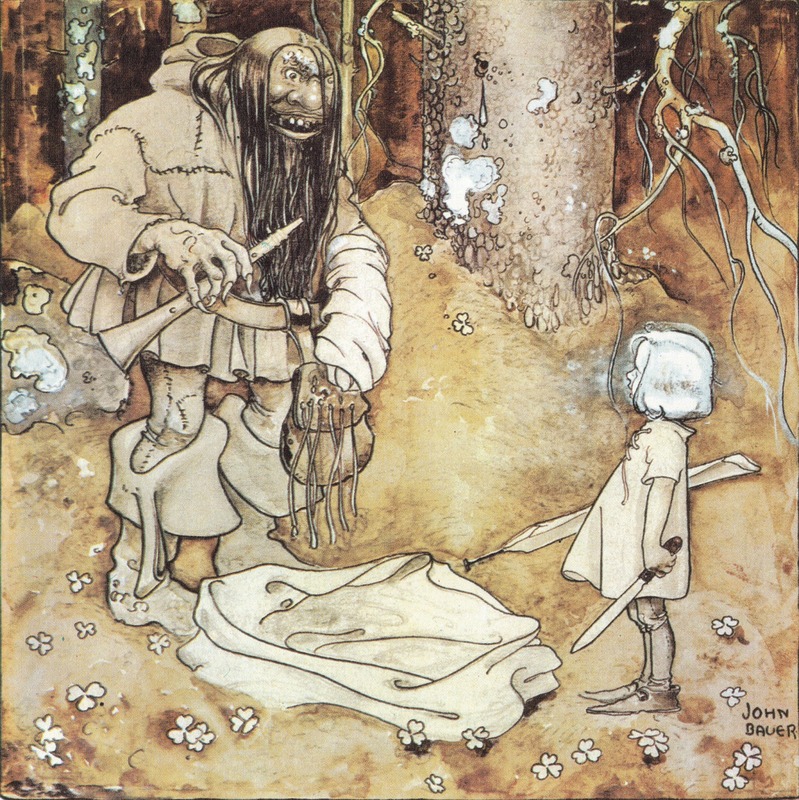 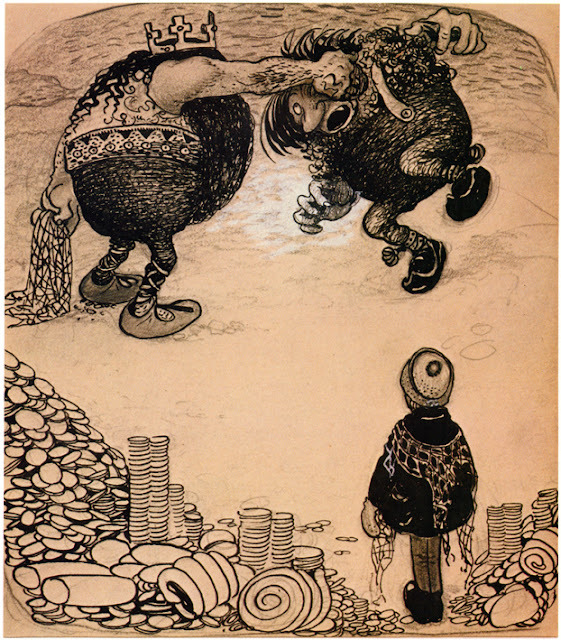 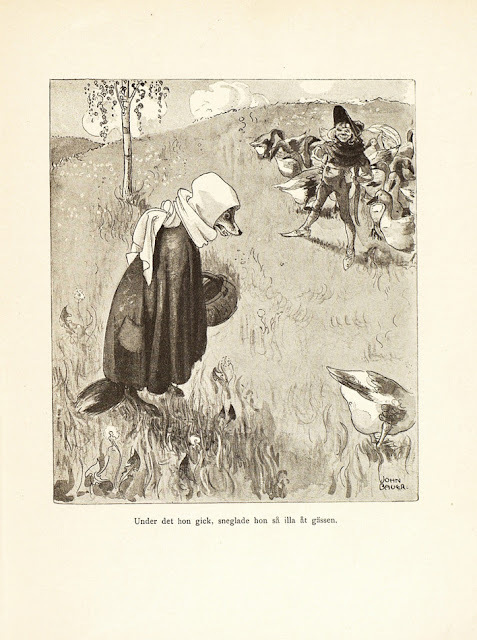 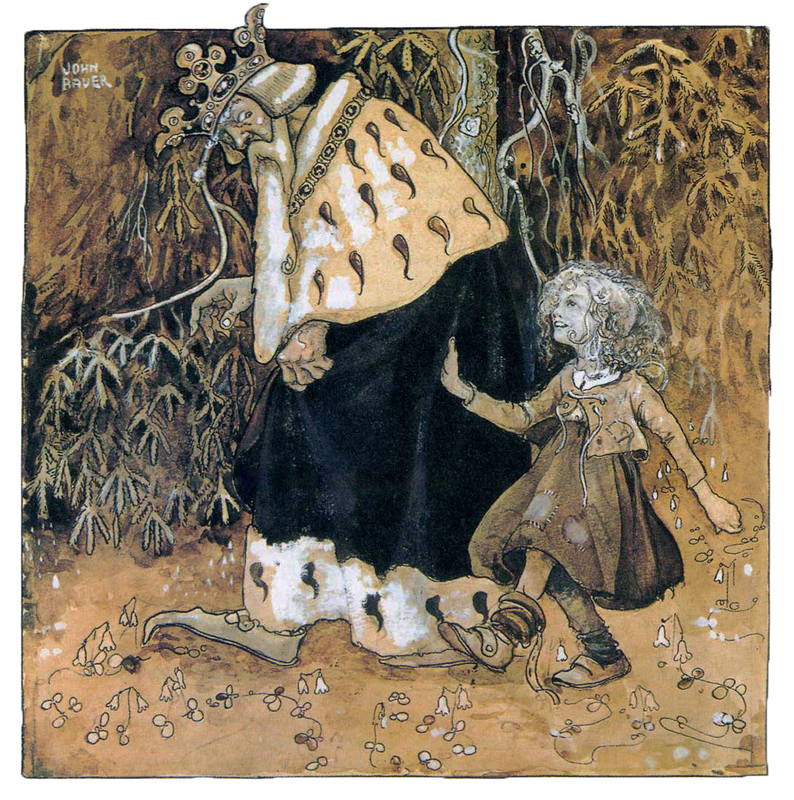 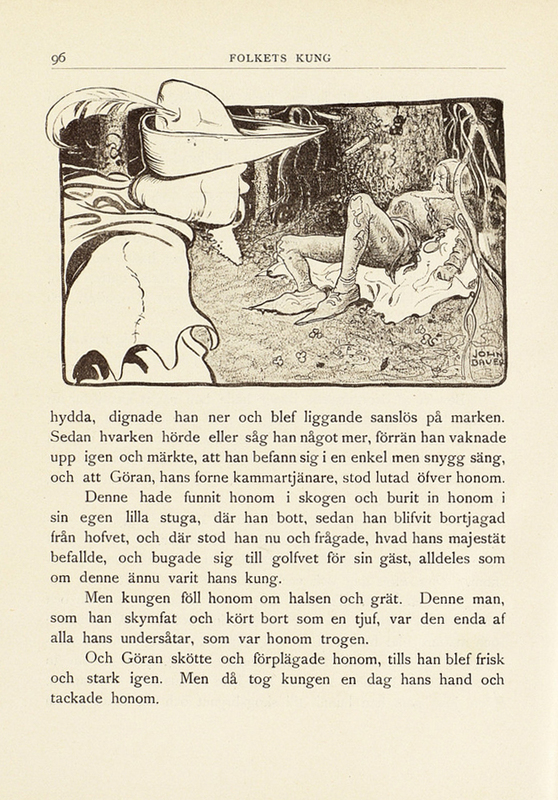 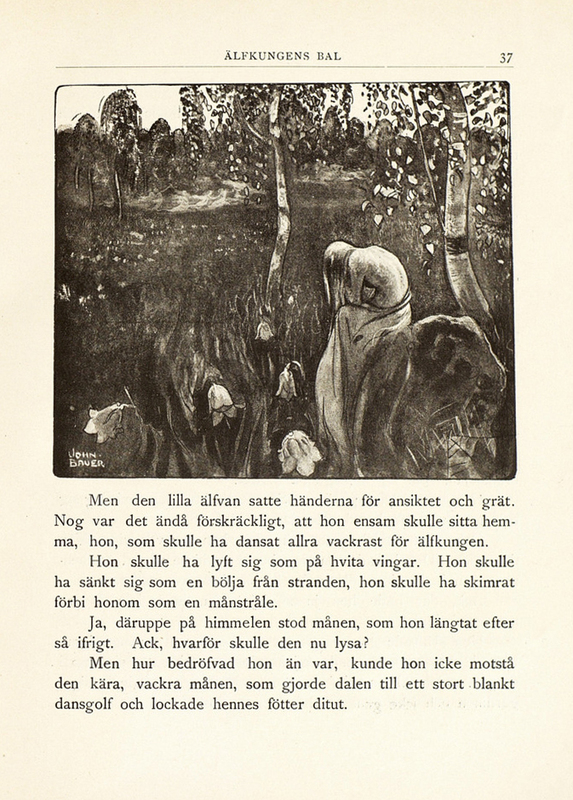 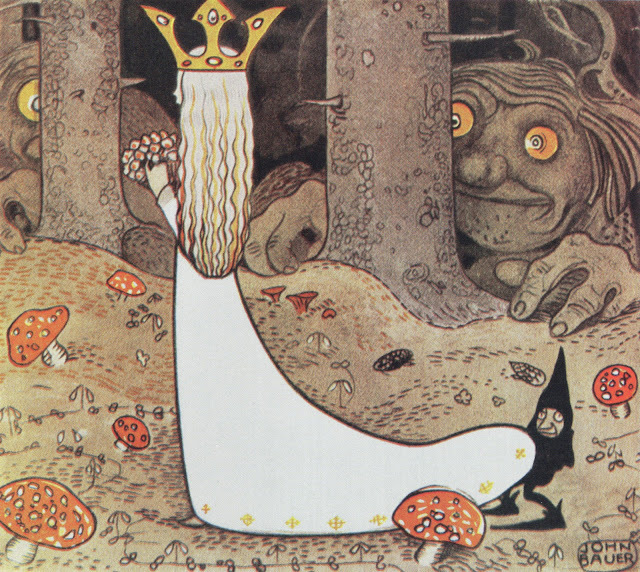 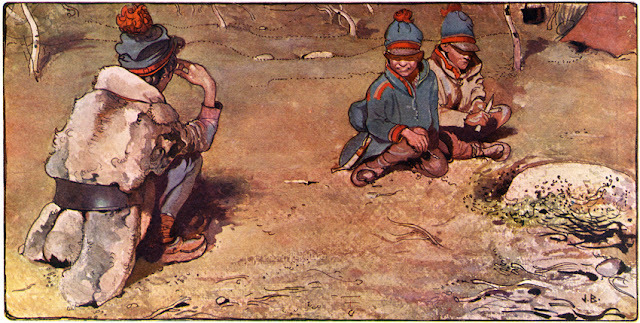 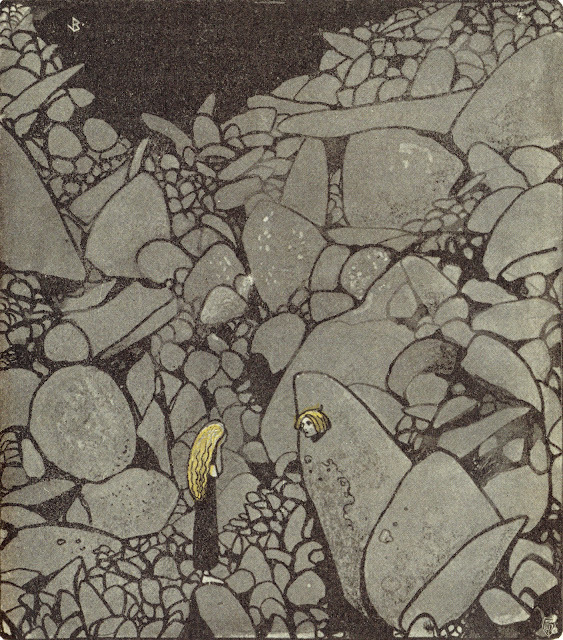 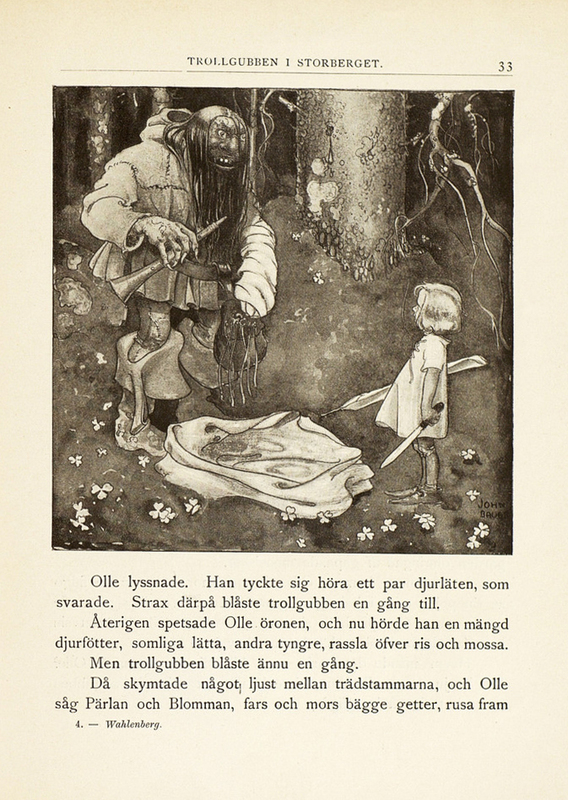 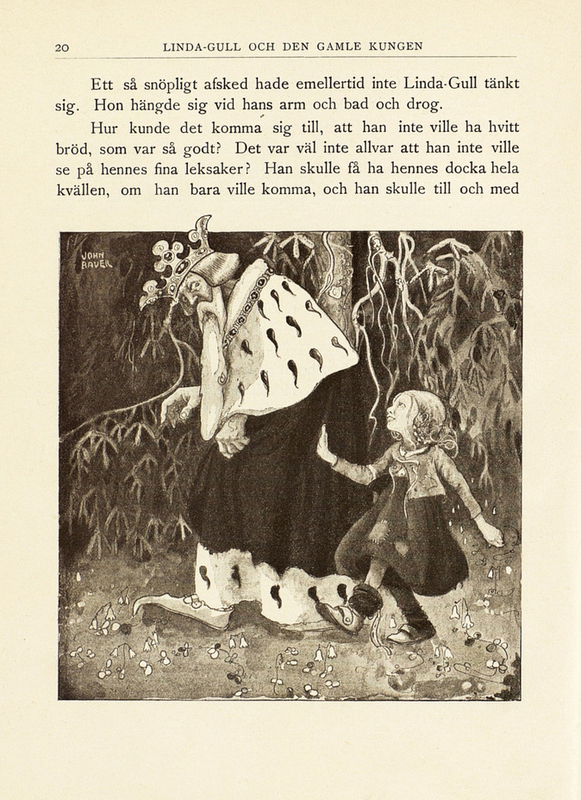 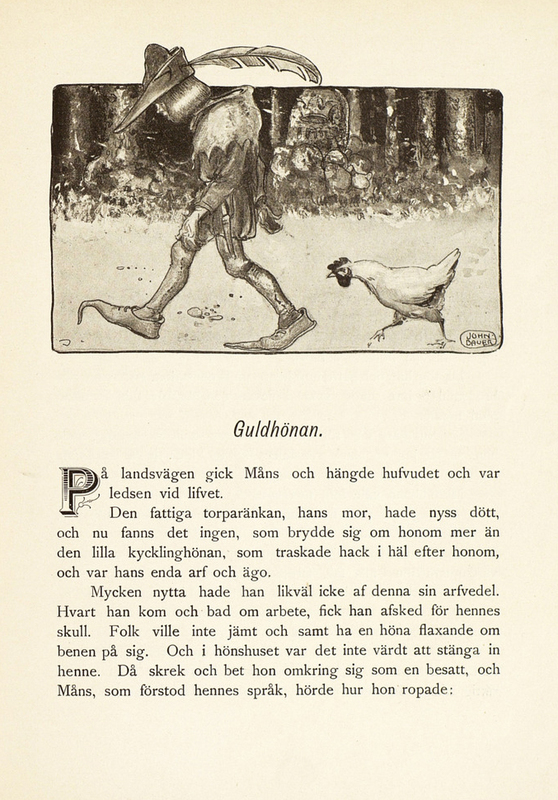 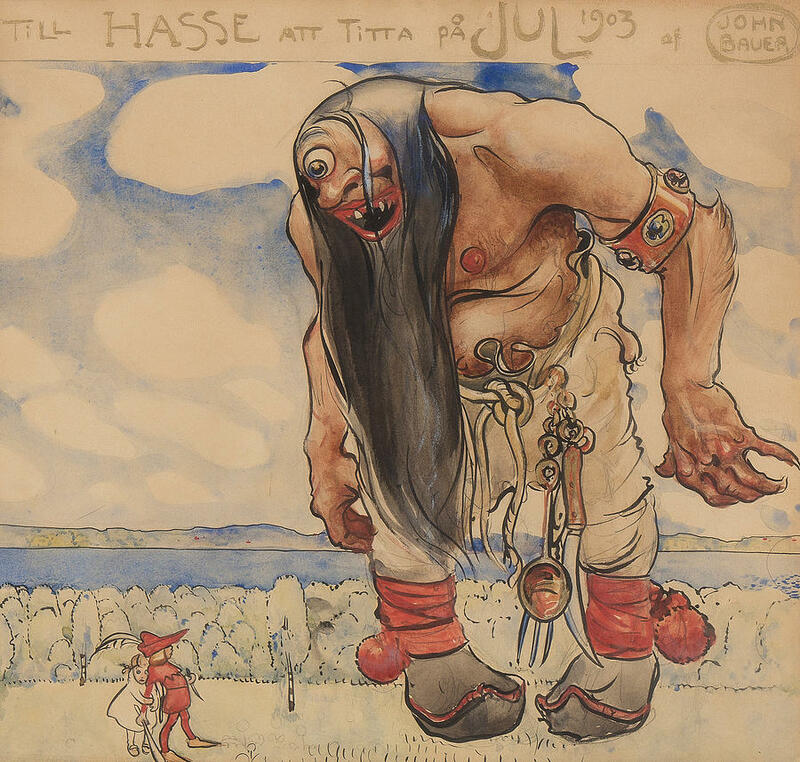 His illustrations and paintings broadened the understanding and appreciation of Swedish folklore, fairy tales and landscape. 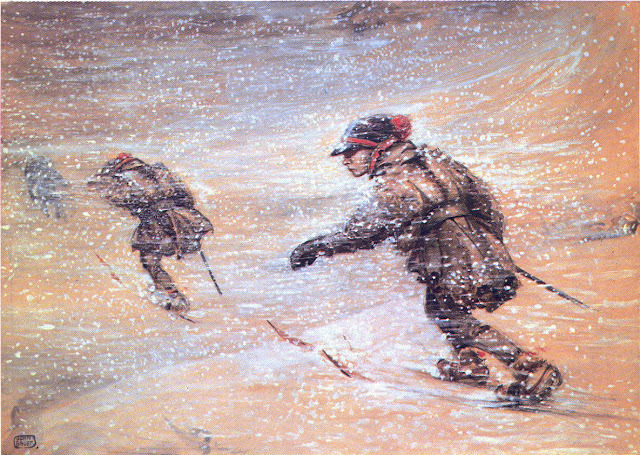 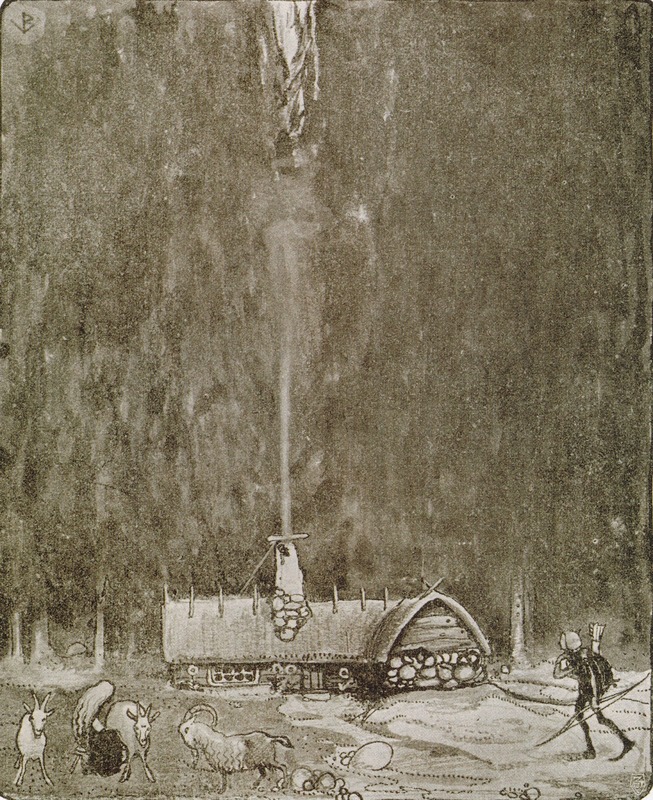 When Bauer was 36, he, Ester and their son, Bengt, drowned in a shipwreck on Lake Vättern.